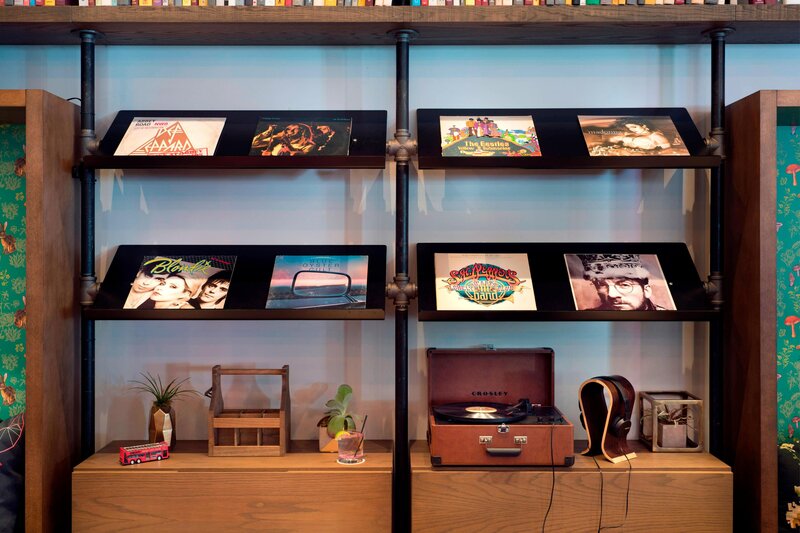 Ditch your usual travel experience and escape to the new Moxy Chicago Downtown. 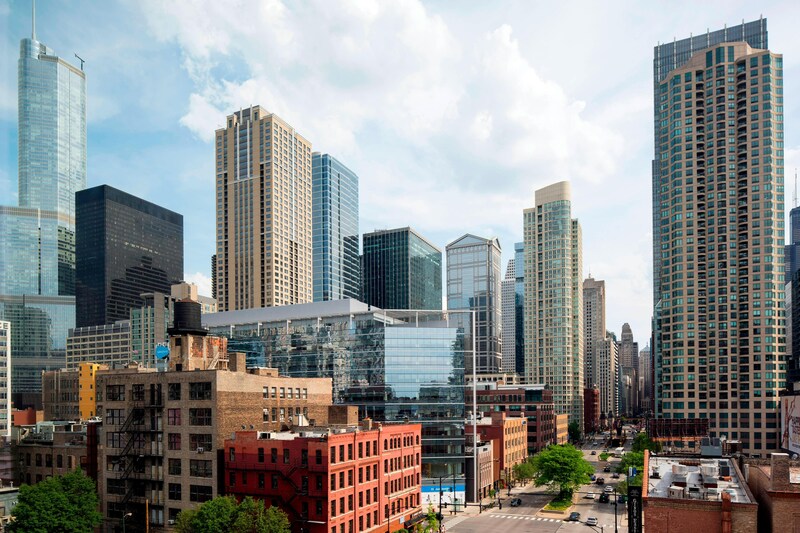 Located in the heart of the vibrant River North neighborhood, our hotel provides easy access to Millennium Park, diverse art galleries, exhilarating nightlife, gastronomical decadence and everything and anything on your Chicago bucket list. You and your technology can recharge in our contemporary rooms with plenty of USB and power outlets after an evening of unforgettable adventures in the city&apos;s designated playground zone. 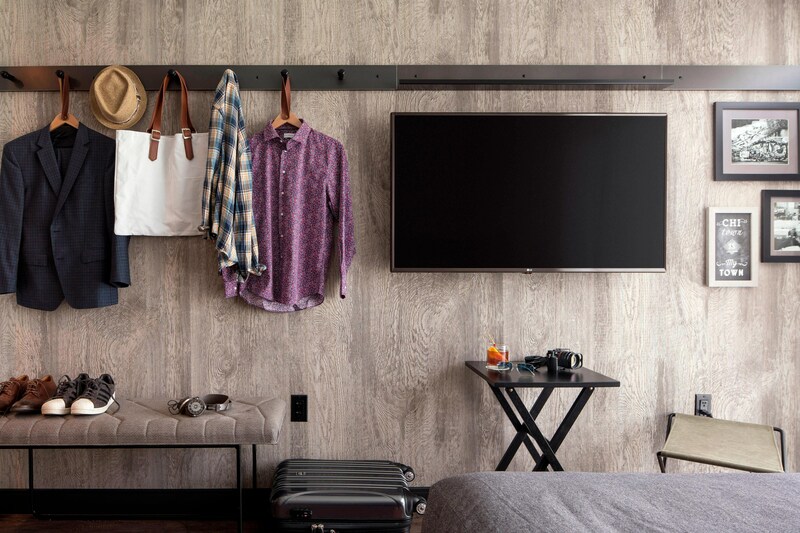 Our accommodations are bursting with desired amenities including free blazing fast Wi-Fi and 49-inch Smart TVs to keep you well-connected to social media. Crave a midnight or anytime snack? We have you covered at Zombie Taco with a 24-hour walk-up counter. You&apos;ll be buzzing about the custom cocktails at Bar Moxy while meeting up with friends in this space brimming with positive vibes. 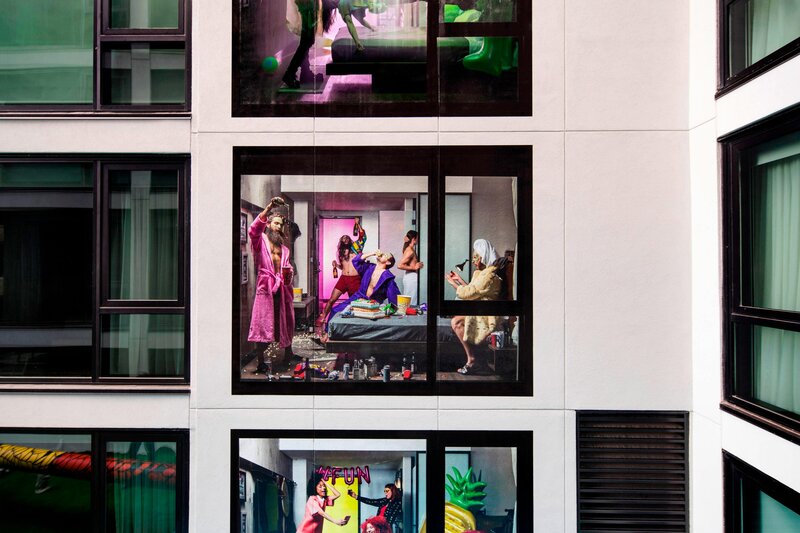 From spontaneous getaways to well-planned excursions, get out and play on at Moxy Chicago Downtown. Let us give you something to taco &apos;bout. Satisfy your cravings at our River North taco joint. Grab breakfast on the way to work, swing by for lunch or dinner, or hit up our late-night 24/7 taco window. The menu, featuring our signature thick cut bacon jalapeno taco, tastes every bit as good as it looks. We&apos;re outdoorsy in that we like to eat tacos on patios. Pull up a stool on our seasonal patio at Grand & LaSalle for tasty tacos and happy hour specials. Stock up on grab & go beverages, salads, fresh fruit, pastries and even some taco themed swag like t-shirts, hats, stainless water bottles, flasks, and more! Never have to make the choice between tacos and your couch ever again with Zombie Taco delivery through GrubHub or UberEats! 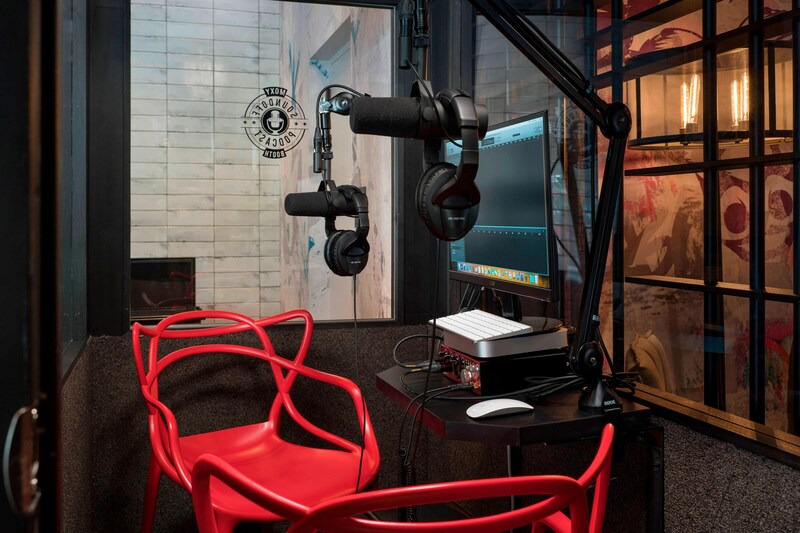 Step in and sound off, for free, in our noise eliminating podcast booth with state-of-the-art equipment or swing by for monthly live podcast events. Catch some of your favorite local Chicago podcasts recording live like #WeGotGoals, Podlander Drunkcast, Stories We&apos;d Tell in Bars, and more! Throw on your headphones and jam to our wide selection of classic and modern vinyls available in the library. 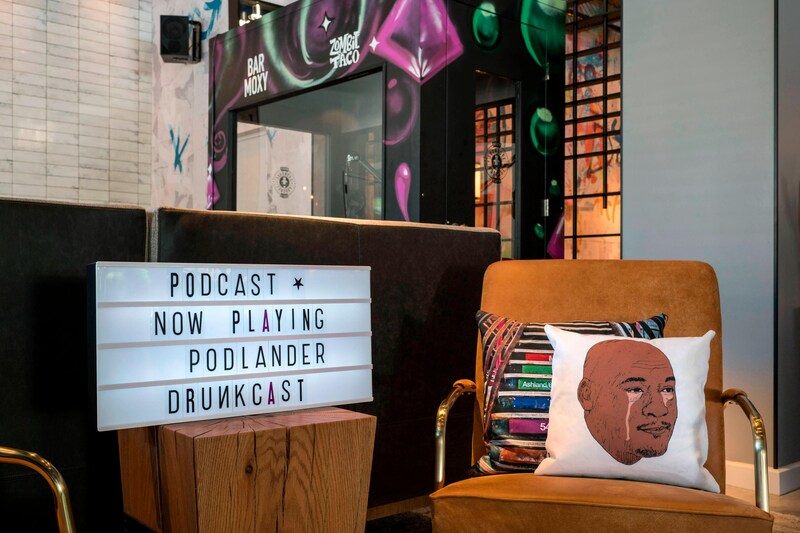 From DJ + podcast series and weekly happy hours to drag shows, bar crawls, and taco eating contests, there&apos;s always a reason to play at Moxy Chicago Downtown. Bring your crew to Moxy&apos;s weekday happy hour for $5 draft beers and wine or $8 beer and taco pairings. Adulting is hard, we can help. 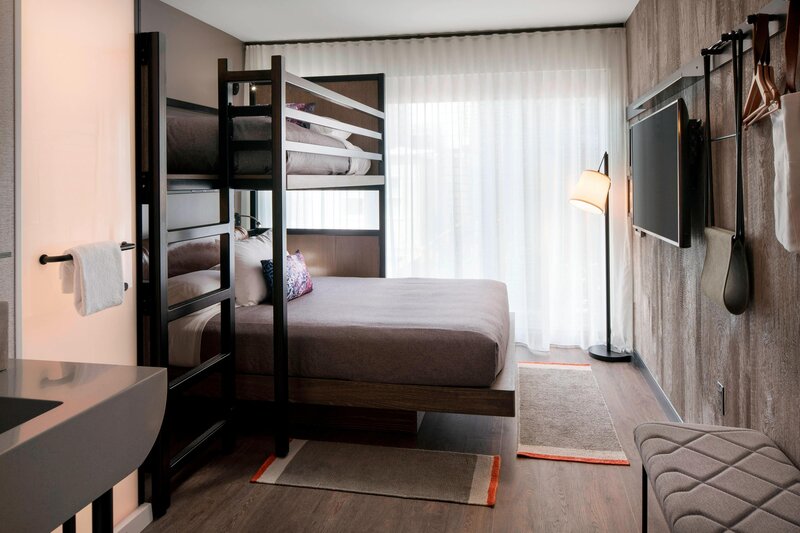 From Chicago city views and bunk beds to our exclusive inner circle rooms, at Moxy Chicago Downtown, the fun doesn&apos;t end when you get to your guest room. Look out onto all the buzzing energy of River North in city view rooms. 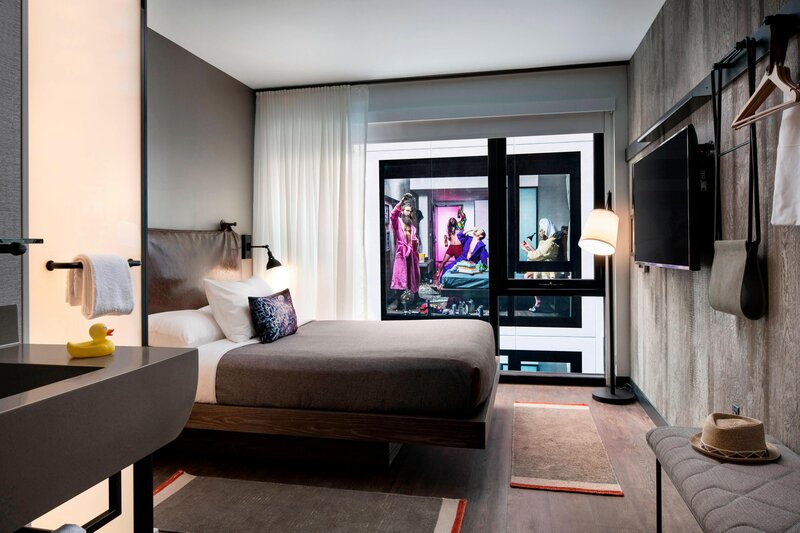 Inner Circle rooms face a custom art installation for that perfect Instagram moment while you chat with neighboring guestrooms via lightbox messages. 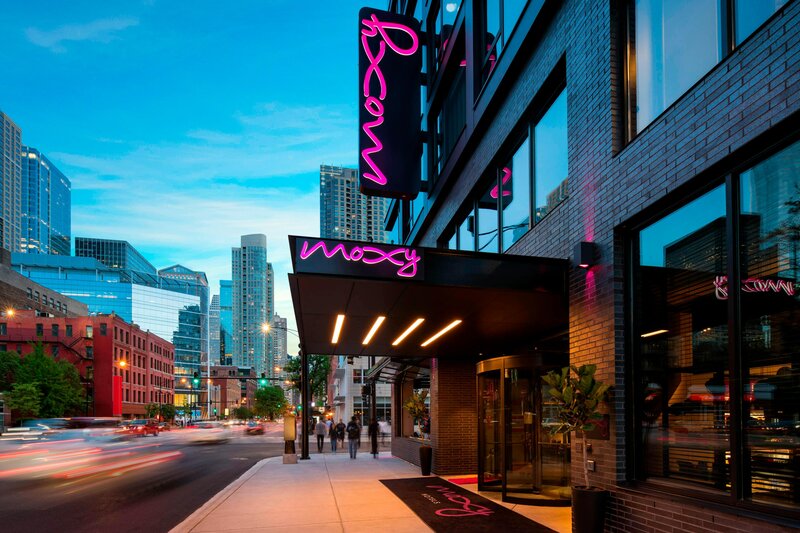 Moxy&apos;s River North district is Chicago’s buzzing dining and nightlife hub where you’re steps from night clubs, adult arcades, and celebrity restaurants. River North is a modern day epicenter for restaurants, night clubs, and galleries located just a few blocks West of the Magnificent Mile.